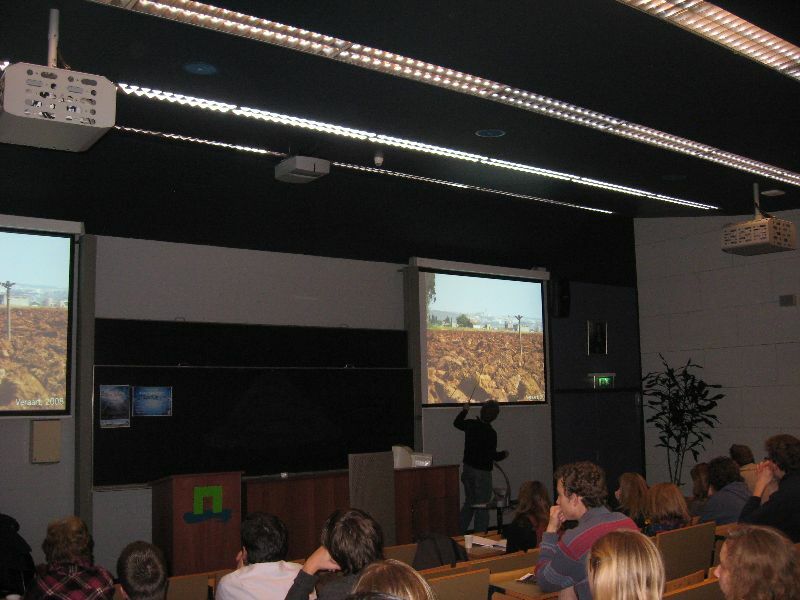 The first lecture was delivered by Erik van Slobbe, who talked about Ecology in water management. Explaining that creating nature such as creating space for water was important but there were attendant costs of doing so. He further enumerated the possibilities and challenges of integrating water in the ecosystem, but more importantly, on the need to maintain it. “What will 2012 bring us?” he asked, but still maintained that creating ecosystems through effective management of water is much needed. 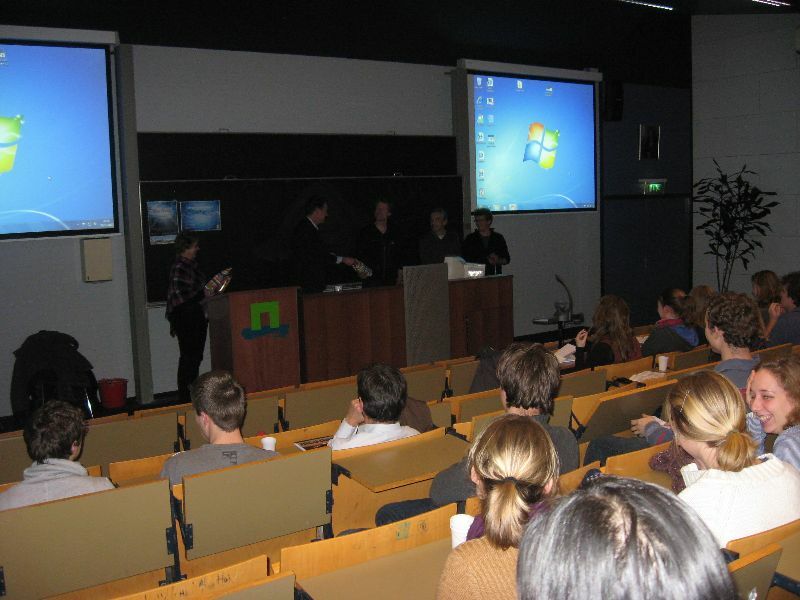 Later on Luuk Rietveld of TU Delft took us through the dynamics involved in “innovations in urban water cycle” citing that urbanization and demography, climate change, re-use and recovery, efficiency and alternative water sources and also, water quality as being the drivers of innovation. More interestingly, he elucidated that waste water treatment plants produced more energy than they consumed. The night finally came to a gradual steep when Stijn Biermann of IMARES presented the Management plan for the European Eel. The Eel is not important economically he said, but is an important part of the culture of the Netherlands and most European countries. The Eel is in a bad state as its stock is quickly declining, but the cause of the decline is not known yet. All countries need to take action! The long evening did not end without cross-sectioning the details of the presentations. An enlightening evening we all had, so much information, so much expectation and hopefully that Mr Bierman would find a solution to Eel population decline.